Rain is falling steadily at an evacuation center where hundreds of people fleeing the Valley Fire are staying in trucks and tents. 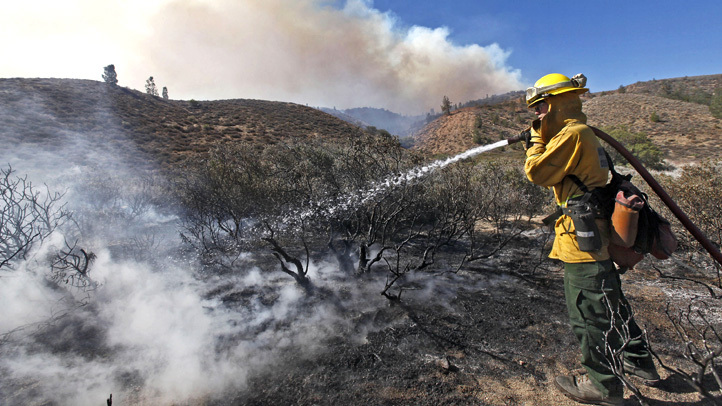 The Valley Fire grew to 70,200 acres Wednesday evening, and was 35 percent contained, Cal Fire said. Pat Morales, Red Cross camp manager, says a large outdoor canopy is in place for people who want relief from the rain but have dogs too large to go into buildings. The center at the Napa County fairgrounds is feeding about 1,000 people at each meal. The food is being prepared by wine country chefs who are donating their time and skill. Andrew Wild is an adjunct at the Culinary Institute of America in St. Helena and a caterer. He says he showed up at the center Saturday night, hours after it opened, and started giving orders in the kitchen. He's working with donated sausages, hundreds of pounds of ice, truckloads of produce, and canned goods. Cal Fire placed the Valley Fire, burning in Lake, Napa and Sonoma counties, as the ninth most damaging wildfire in California history. 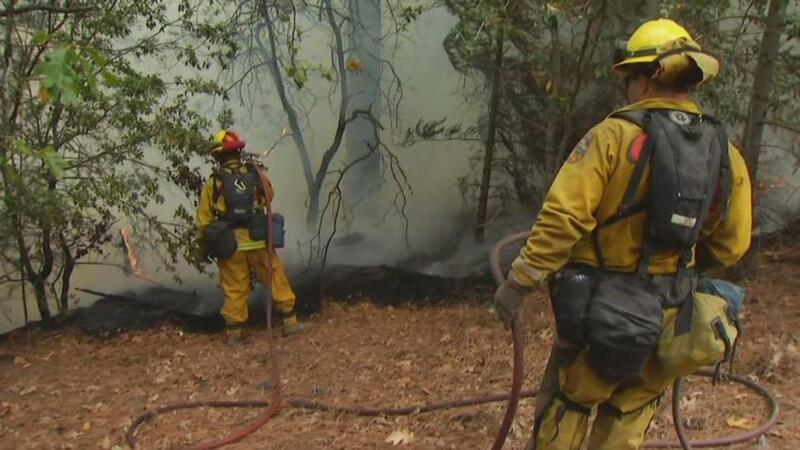 The Butte County fire in Amador and Calaveras counties was placed at No. 14. The worst wildfire on record in California was in the Oakland hills in 1991. The fire, which possibly started in a shed, was first reported Saturday. The fire has killed one person and destroyed 585 homes, Cal Fire said, and was still threatening 9,000 more. Fueled by drought, the Valley Fire has consumed more than 95 square miles — larger than the cities of San Francisco and Oakland combined, injured four firefighters and displaced more than 13,000 people who flooded nearby evacuation centers, including Kelseyville High School, Napa County Fairgrounds, Highland Senior Center and Big Valley Rancheria Gymnasium.